An important part of our commitment to our communities, Blue Ridge Energy is proud to offer several opportunities for high school sophomores, juniors, and seniors within Northwest North Carolina. 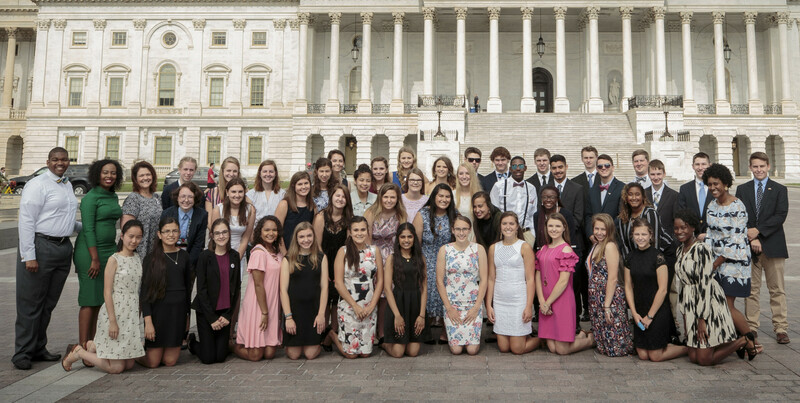 Each June, Blue Ridge Energy sends up to four students to Washington, DC for an all-expense paid, week-long trip called Washington Youth Tour. Blue Ridge students will travel with other North Carolina students and meet Youth Tour participants from all over the United States. In Washington, students visit historic sights they have studied in school, learn about rural electrification, see their government in action, meet North Carolina elected officials, and have an opportunity to compete for three college scholarships worth up to $7,000, and more national trips. Several Blue Ridge Energy sponsored students have won $2,000 college scholarships during the Youth Tour. Take a moment to check out these leadership opportunities by visiting the websites below.